1. Know the costs of your lawn care tips. Caring for your lawn can cost you some money. You may need to purchase equipment for it, as well as other things necessary to make your lawn healthy and beautiful. Check out the prices of the equipment or tools that you need, so that you know how much money you may need to spend for it. A mower is one of the most important tools that you need in caring for your lawn. Thus, it is important to take good care of it. With that, you need to make sure that you follow proper operational procedures in using it. Aside from that, you should also practice proper maintenance, so that its quality would not decline. 3. Read more books about lawn care. 4. Learn new things everyday. Caring for your lawn is not as difficult as you may think it is. This is true, especially if you are going to try and learn as much as you can about it. Learning new things about it each day can actually be done by simply reading magazines about caring for your lawn. 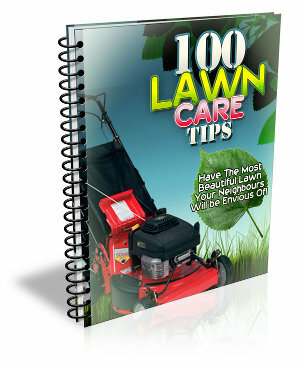 On top of that, you can also visit blogs and websites through the internet, which showcase countless tips on lawn care. 5. Think about your lawn just before going to bed. If you have just started setting up your lawn, it is best if you can think about it just before you get some sleep. This would make you more motivated in doing the necessary things to care for it the following day. With that, you would be happy to wake up early, and start working on your lawn in the morning.